With so many chemical fertilizers on the market today, it’s nice to know that there are plenty of natural versions of fertilizers and soil amendment possibilities right at home when you’re ready to feed the tomato plants you’ve purchased from Wolff’s Apple House. Save your eggshells after breakfast or baking. 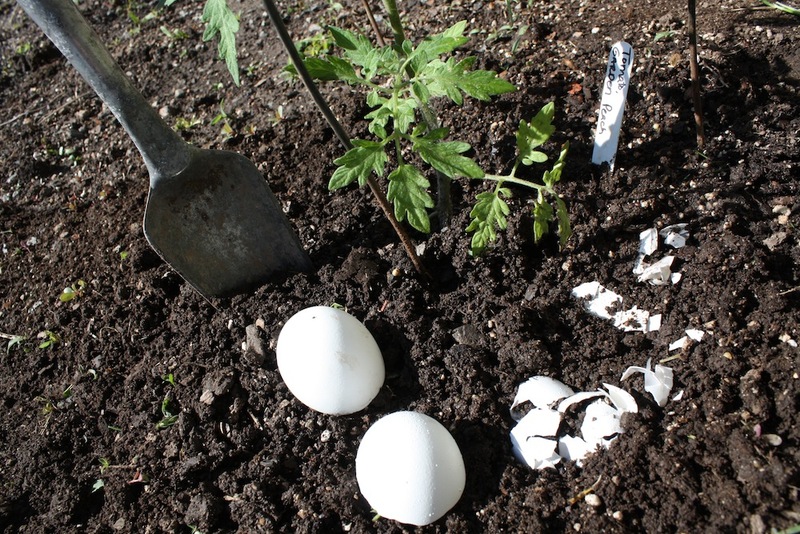 Eggshells are rich in calcium, which means broken bits of them scattered into the soil around the base of your tomato plants ensures that this mineral will find its way to your eventual crop of flavor-beckoning tomatoes. Another benefit of naturally supplementing eggshells into the soil of your tomato plants is that the calcium in the shell parts assists in preventing blossom-end rot, which is the ugly condition that arrives when you see browned, sunken and decayed spots at the top-most section of a tomato. Composting will help not only this kind earth of ours but will also allow your tomatoes to be even more healthy and palate-worthy, in the end. Fallen leaves, straw, hay, hedge clippings, chipped brush, small twigs and sawdust are some examples of carbon-packed materials you can compost. These are the browns for your two-way color wheel of composting. Nitrogen-ready samplings like veggie scraps from the kitchen counter, teabags, lawn clippings, coffee grounds (the original beans were green before the roasting, remember) and weeds are great greens to save and compost. And while many may not at first realize these materials are compostable, they are in fact a great asset to a compost blend—vacuum debris, dryer lint, nail clippings, hair and pet fur. Keratin is something found in hair and pet fur; it slowly begins to release nitrogen into soil as it breaks down in time. Rescue the strands you’d normally pull out from your hairbrush, and let them benefit your yard instead. Think twice before you throw away sushi leftovers. Seaweed can add crucial minerals, starch and amino acids to your soil so that your tomato plants thrive. Epsom salts are not your traditional table salt but instead parts magnesium and sulfur, which explains its sister name of magnesium sulfate. Magnesium plays an important role in seed germination, the production of chlorophyll, tomato growth and development and toughening of the plant’s cell walls. Sulfur contributes vitamins, amino acids and useful enzymes to your soil. While the majority of tomatoes don’t have an issue with lacking sulfur, many do have a problem with a deficiency of magnesium based around the soil being depleted. Joining Epsom salts to your soil will begin to balance out this deficiency. Before placing your tomato plants into the ground, toss one tablespoon of Epsom salts into the soil. Enjoy the fun of stirring it into the soil, blending it well and evenly with the brown of the dirt. If you’ve already done your planting, carefully mingle the Epsom salts in around the base of the plant, a few inches into the soil, and remember to lightly repack the soil. Later into the season, mix two tablespoons of Epsom salts per gallon of water into a sprayer and apply to the plants monthly. Spraying this mix onto your tomato plants will encourage their healthy growth while working to prevent blossom-end rot.